For the last 25 years, James Schamus’ name has been synonymous with smart, groundbreaking and successful films. As co-founder of Good Machine, CEO of Focus Features, and an independent producer and screenwriter, Schamus has been creatively involved in dozens of the most critically acclaimed films of recent time. In the process, he’s had his hand in virtually every aspect of the filmmaking process, even getting an Academy Award nomination for Original Song for Crouching Tiger, Hidden Dragon. With Indignation, Schamus adds feature film director to his resume. But when his tenure at Focus ended, Schamus began to seriously entertain the possibility of directing Indignation himself. To get started, Schamus approached Anthony Bregman, a producer with whom he’d worked both at Good Machine and Focus Features, about coming on board. Schamus’ screenplay struck a chord with Bregman as well. “I felt like here was something that could have been taken from my own life,” remembers Bregman. “I would say at the core of this film is a love story,” exclaims Lerman. When Marcus encounters Olivia in the library one day, his single-minded determination to succeed scholastically is thrown off course. “She’s very troubled and very different from anybody that he grew up with in Newark, New Jersey,” explains Lerman. As an actor, who won the 2013 Tony Award for Best Performance by a Leading Actor in a Play for Who’s Afraid of Virginia Woolf?, Letts was attracted to screenplay’s powerful language and remarkable structure. One scene in particular, a long exchange between Dean Caudwell and Marcus, especially caught Letts’ attention. 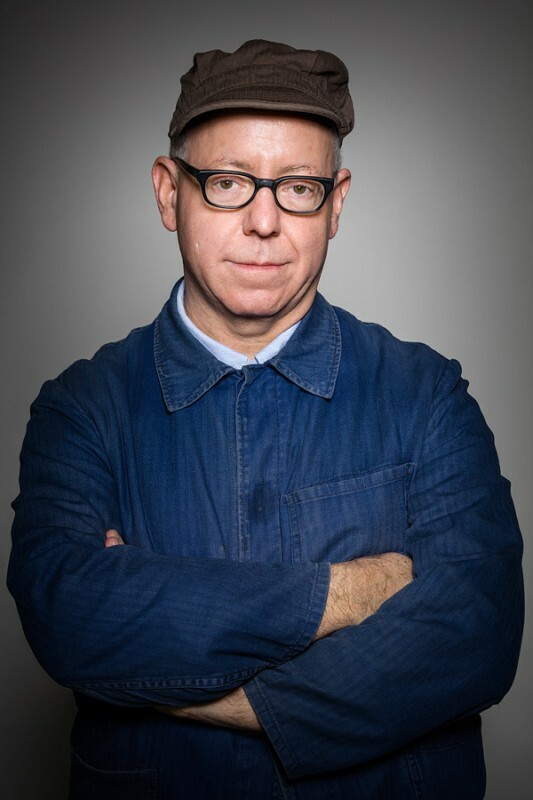 James Schamus is an award-winning screenwriter, producer and film executive who has been a mainstay of independent cinema for over two decades. Schamus recently launched Symbolic Exchange, a New York based film and television production company. He is currently in post-production on his feature directorial debut Indignation, which he adapted from the eponymous Philip Roth novel. Previously, Schamus co-founded and served as the CEO of Focus Features for thirteen years. During his tenure, Focus Features was responsible for many critically-acclaimed and commercially successful films, including: Moonrise Kingdom, Milk, Eternal Sunshine Of The Spotless Mind, The Kids Are All Right, The Pianist, Coraline, and Dallas Buyers Club. Schamus produced Ang Lee’s Brokeback Mountain, which won three Academy Awards, four Golden Globe Awards, four BAFTA Awards, and the Darryl F. Zanuck Producer of the Year Award. Schamus also received Academy Award nominations for Best Adapted Screenplay and Best Original Song for his work on Lee’s Crouching Tiger, Hidden Dragon. Schamus’ and Lee’s other collaborations, many of which Schamus wrote, include: Lust, Caution, The Hulk, Ride With The Devil, The Ice Storm, Sense And Sensibility, Eat Drink Man Woman, The Wedding Banquet, and Pushing Hands. Schamus was awarded the Screenplay Prize at the Cannes Film Festival for The Ice Storm. Prior to the formation of Focus Features, Schamus served as co-president of the independent film company Good Machine, which he co-founded in 1991. Schamus and his partners produced over 40 films during an eleven-year period in partnership with high-profile filmmakers such as Todd Haynes, Nicole Holofcener, Claire Denis, Todd Solondz and Edward Burns, among others. Schamus is a Professor at Columbia University’s School of the Arts, where he teaches film history and theory. He received his Ph.D. in English from U.C. Berkeley in 2003, and is the author of Carl Theodor Dreyer’s Gertrud: The Moving Word, published by the University of Washington Press. He currently serves on the board of directors of Creative Capital. He was the 2006 Presidential Fellow in the Humanities at the University of Chicago. In 2008, Philip Roth published his 29th novel, Indignation, a story that returned him to his own youth, growing up in Newark before attending a small liberal arts college. One of America’s most honored and accomplished writers––having twice won the National Book Award and the National Book Critics Circle award, as well as having received a Pulitzer Prize––Roth was 75 years old when he turned back to imagine this period of his youth. “Indignation may not be the best known of Philip Roth’s novels, but in some ways that’s a real blessing,” notes writer/director Schamus. In adapting the book for the screen, Schamus turned to two other literary figures of the late 20th century, Sylvia Plath and Allen Ginsberg, for inspiration. While both were contemporaries of Roth, neither one was directly connected to his intellectual circle. Ginsberg, 8 years Roth’s senior, was born in Roth’s hometown of Newark, before his family moved to nearby Paterson. “You don’t think of Philip Roth and Allen Ginsberg as being from the same sphere,” explains Schamus, “but both were very ambitious young Jewish kids from New Jersey from essentially working class or middle class backgrounds who found their path into American letters in different ways.” Their paths did cross, however, in one unexpected way. Ginsberg’s aunt, Hannah Litzky, who taught English at Weequahic High School, had Roth as a student in her class. While Ginsberg’s beat poetry and queer sensibility might seem out of place on Winesburg’s staid campus, Schamus found several ways to weave him into the story. For Schamus, the Kaddish sung at the film’s beginning for the Jonah Greenberg is a nod to Ginsberg’s 1961 elegy, “Kaddish,” dedicated to his mother, Naomi Ginsberg. And in the character of Bertram Flusser, one of Marcus’s two roommates, one finds the embryonic spirit of the sexual revolution that Ginsberg would be instrumental in igniting in the next decade. Although Sylvia Plath and Philip Roth traveled in different circles, Schamus imagines an aesthetic, if not actual, bond between the two. “I don’t know if Philip Roth was reading her journals, but for me the character Olivia Hutton has a lot to do with Sylvia Plath,” suggests Schamus. Since The Unabridged Journals of Sylvia Plath were first published in 2000, eight years before Roth published his novel Indignation, such a connection is not at all impossible. As Schamus and Sarah Gadon developed the character of Olivia Hutton, the figure of Sylvia Plath helped illuminate the character’s consciousness and the times in which she lived. “The thing that I always loved about Sylvia Plath’s writing as a young woman is that you’re able to get into the head of the feminine psyche––how much strength there is but simultaneously, there is all this vulnerability,” explains Gadon.